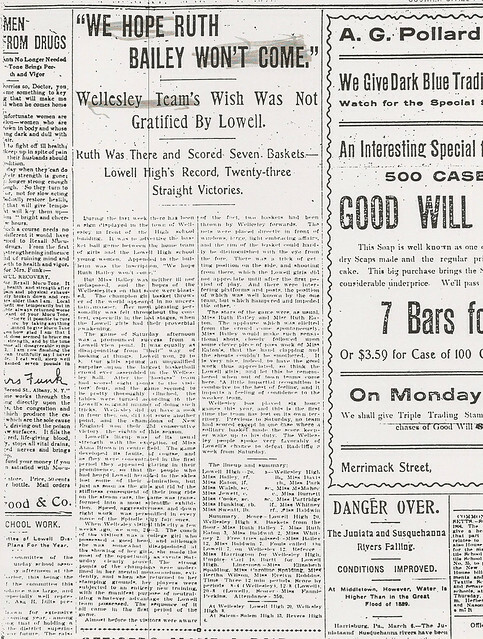 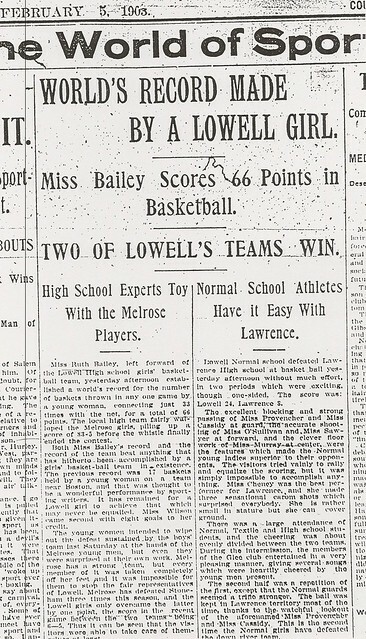 Competing in the nascent era of Lowell High School athletics and the early years of the sport of basketball more than one hundred years ago, Ruth Bailey established benchmarks in girls’ basketball that will unlikely ever be equaled. 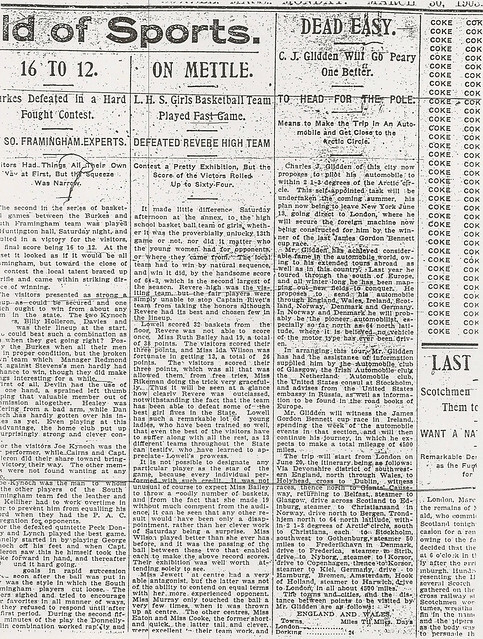 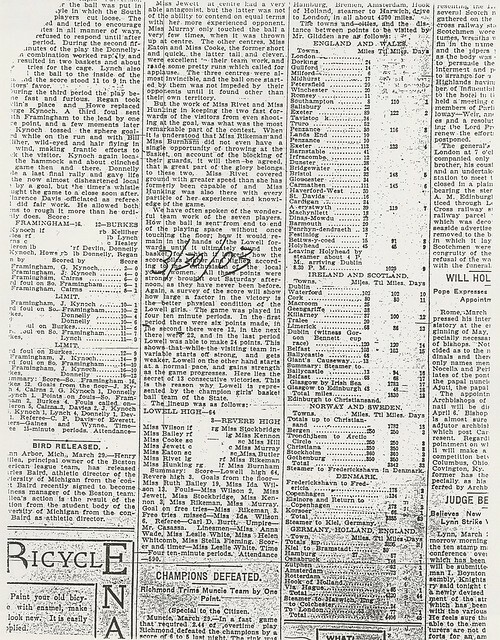 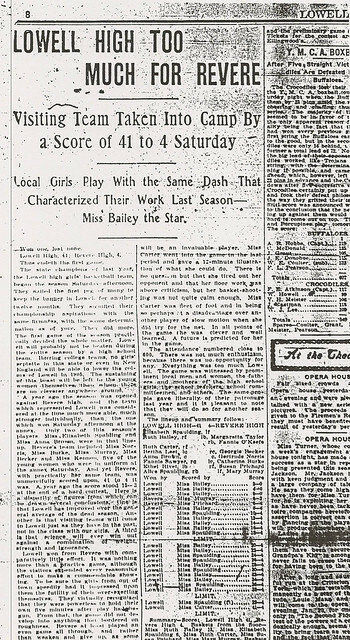 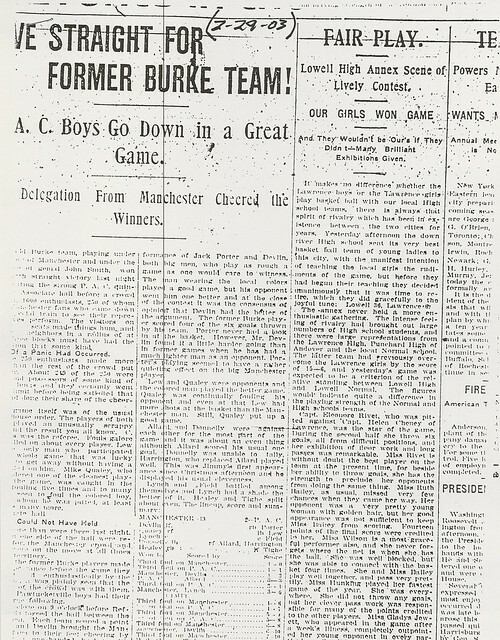 While admittedly competing in an era when the rules of girls’ basketball were drastically different from today (6 players–3 on defense, 3 on offense; center jump after each basket; running time for significant portions of the game; et al), Ruth still produced statistics which were at that time unequaled in the history of the game. 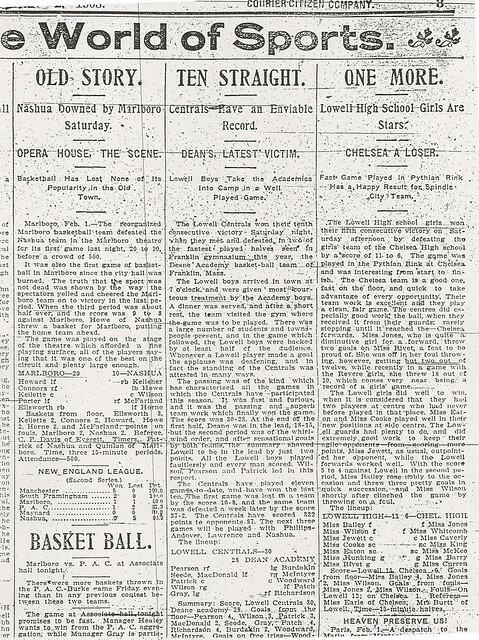 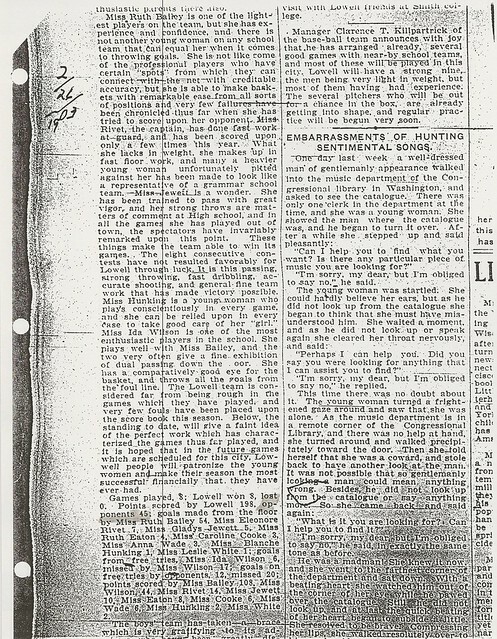 As a sophomore in 1902–1903, Ruth burst on the scene in spectacular fashion. 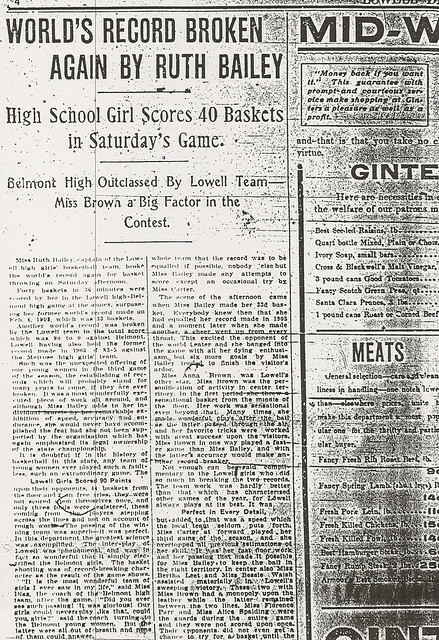 Playing in only 9 of the team’s 14 games, she scored more than 200 points (almost half of the team’s seasonal output) while leading Lowell to a 14–0 record. 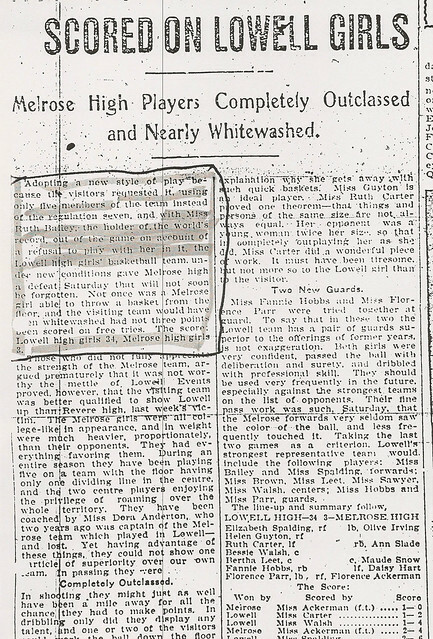 Ruth had games of 32 and 38 points before totaling and amazing 66 points in a lopsided 83–5 victory over Melrose. 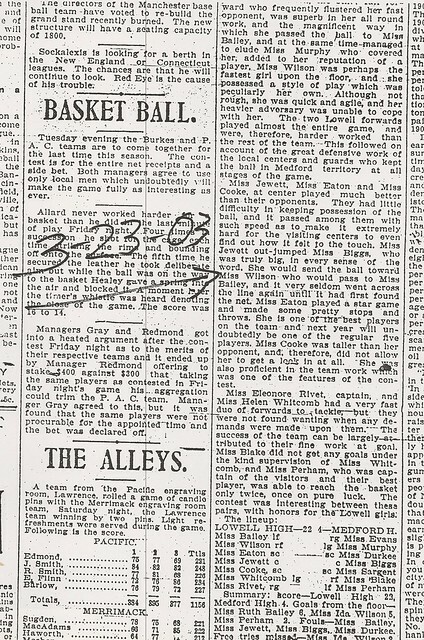 That total established a new world record for points scored by a female in a basketball game. 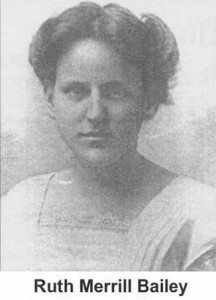 During her junior year (1903–1904), Ruth continued her exploits on the hardwood. 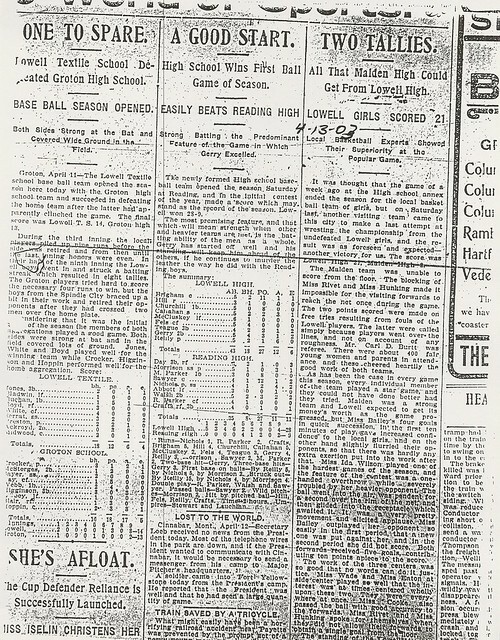 She scored 301 of Lowell’s seasonal total of 489 points, leading Lowell to a 15–0 record, culminating in an 11–4 victory over Springfield High to win the Massachusetts State Championship. 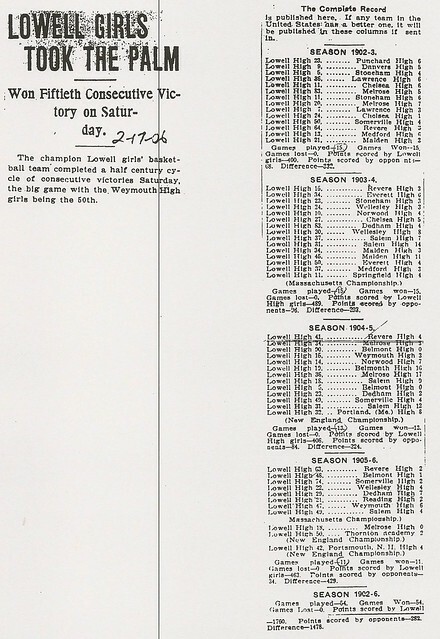 Along the way, Ruth had scoring games of 46 and 54 points against Everett and Dedham respectively. 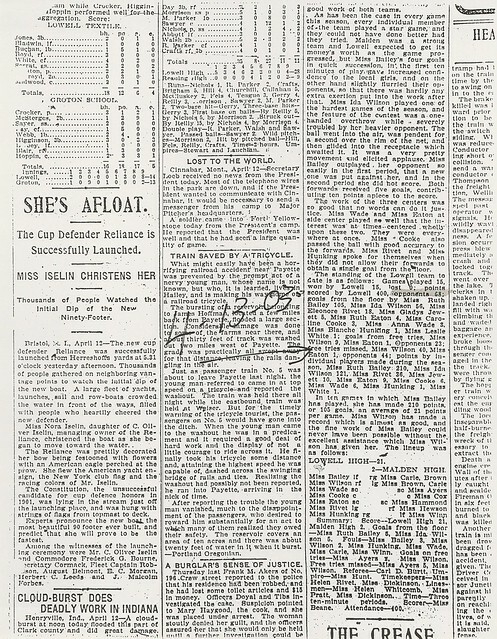 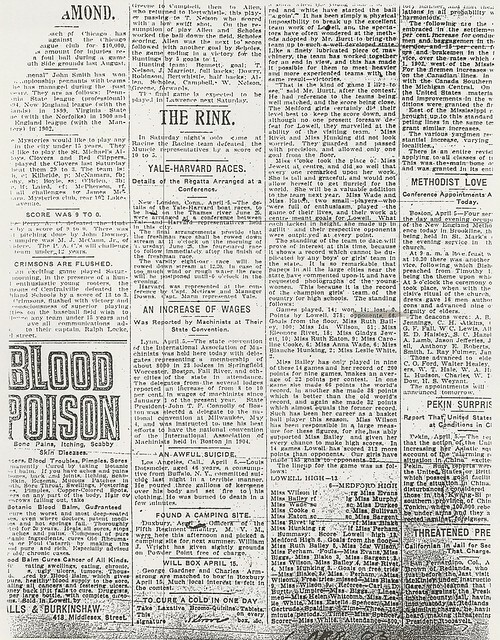 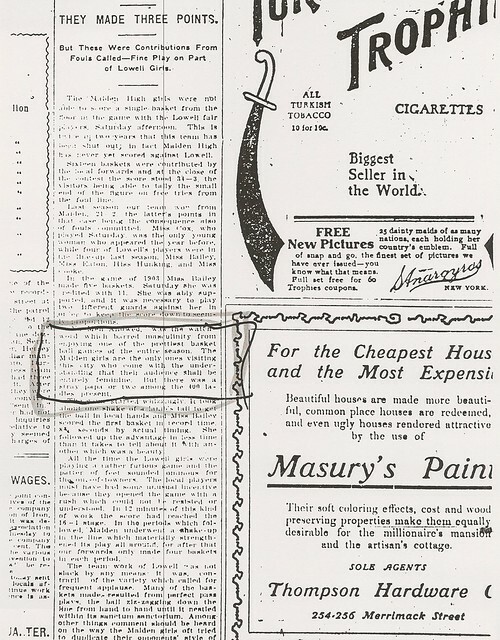 As a senior (1904–1905) Ruth finished her career in a blaze of glory. 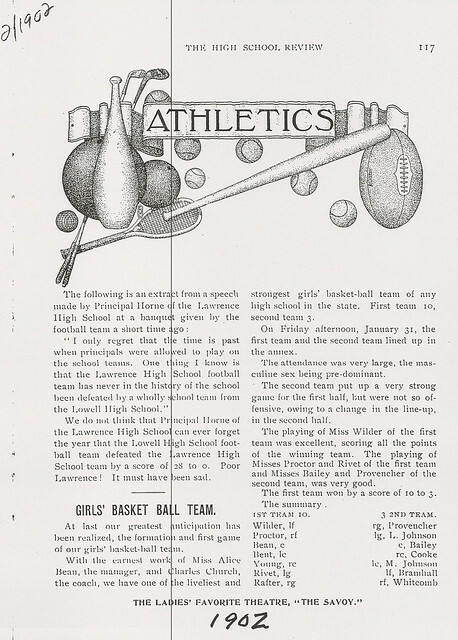 Again, the dominant figure on a dominant team, Ruth scored 225 of Lowell’s total of 406 for the season, Leading Lowell to a 2nd consecutive Massachusetts’s State Championship and then to the New England Championship with a 32–8 romp over Portland, Maine High School. 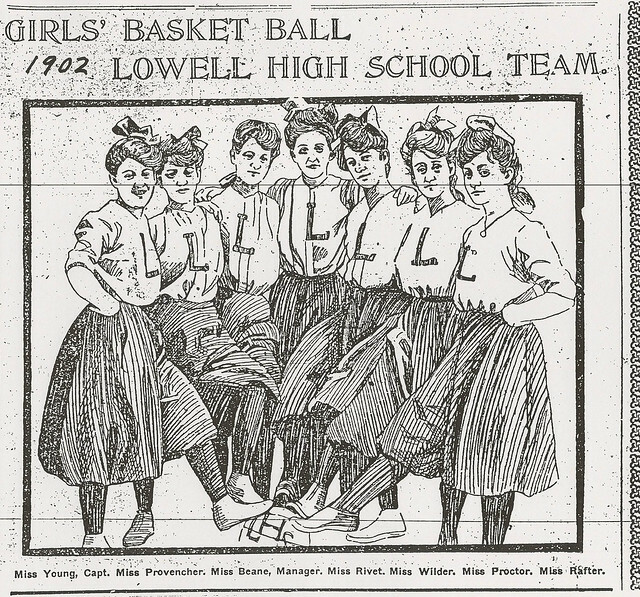 Lowell finished the season with a record of 13–0. 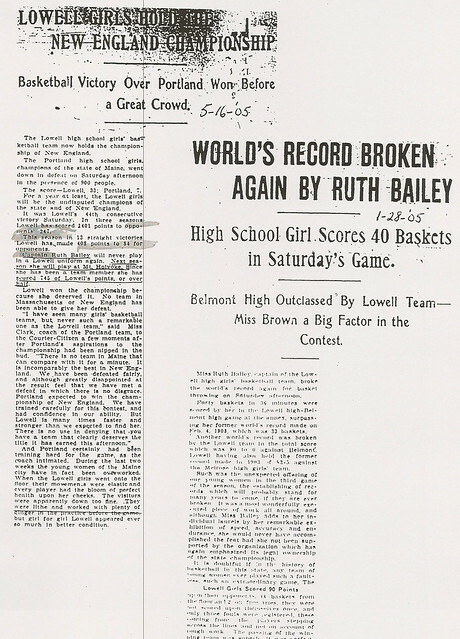 On January 2, 2005, in a game against Belmont, Ruth scored an incredible 40 baskets and 2 free throws for a total of 82 points, shattering her own world record. 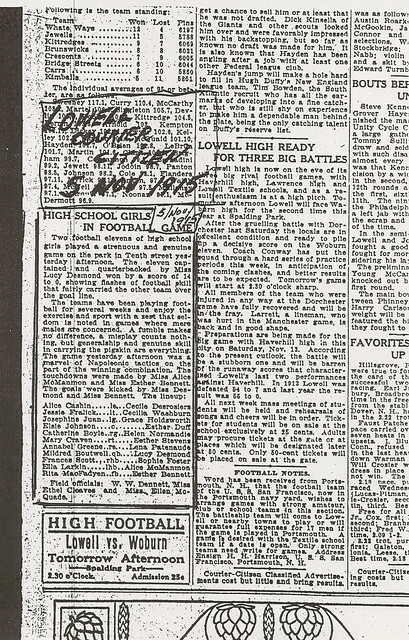 During Ruth’s tenure as a member of the Lowell High team, the overall team record was an amazing 42–0. 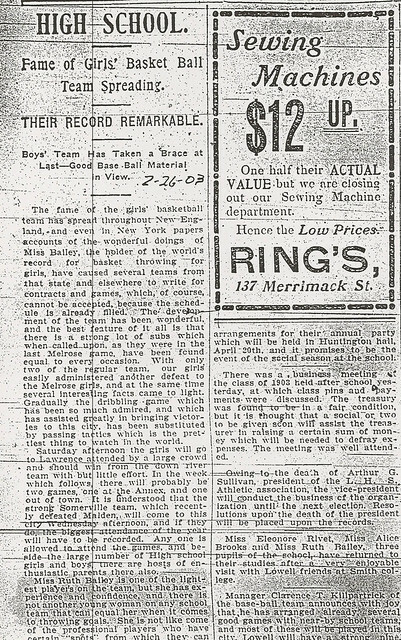 Ruth finished her career with a total of 737 points in only 34 games for 21.7 points per game average, easily the best in school history. 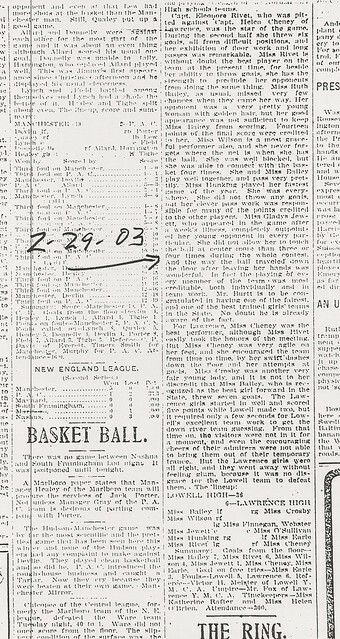 Ruth’s name appears in numerous other categories in the Lowell High School Girls Basketball Record Books, including points in a single game (where she has 4 of the top 5 scoring games), and single game, seasonal, and career field goals–all despite playing in only 34 career contests. After graduation, Ruth went on to play basketball at Mount Holyoke College. 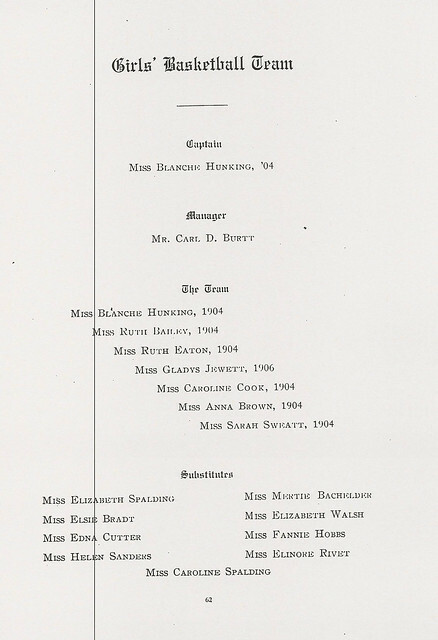 She later taught Physical Education at Lowell Normal School (now UMass Lowell).